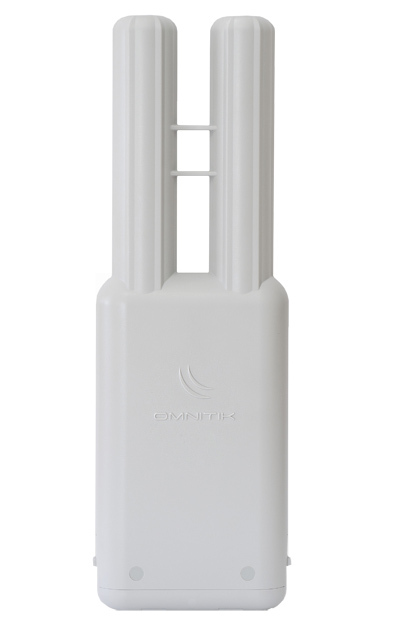 Mikrotik's OmniTIK is a weatherproof outdoor AP with dual-polarized omni antennas - the perfect companion for the Mikrotik RB SXT, or for any other 5GHz 802.11a/n standard device. LED signal indicators on it’s back are fully customizable, show Ethernet activity or wireless signal - or any other information from RouterOS. The USB port gives the ability to connect a 3G modem or a storage drive. This OmniTikUPA-5HnD model also sources POE on Ethernet ports 2 through 5.